Delirium after surgery may be dangerous for elderly people. It is linked to higher rates of dementia and even death. 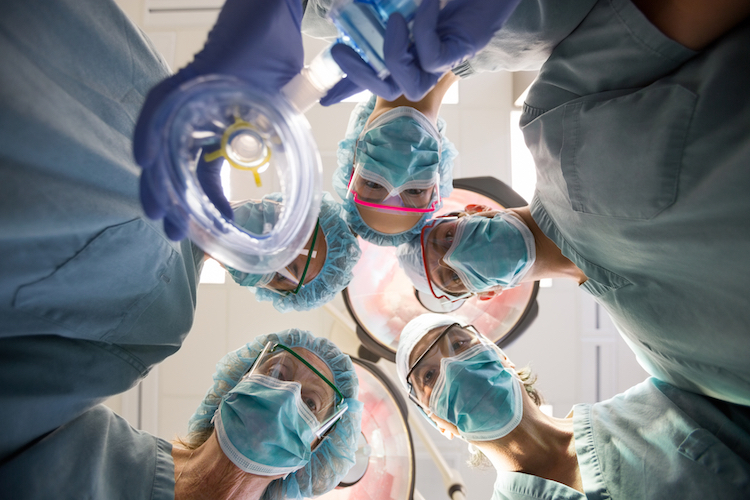 Elderly people who become delirious after an anaesthetic and surgery appear to be at increased risk of dementia for several years after the episode. They are also twice as likely than other patients to die within 2 years of the operation. At least 50 per cent of elderly patients experience delirium after an operation. But many cases are undetected, even though an episode lasts from several hours to several weeks. Doctors are not sure if delirium contributes to dementia and death or if it occurs because the person is already vulnerable. This is the subject of new research led by Professor David Scott, head of anaesthesia and acute pain medicine at St Vincent’s Hospital in Melbourne. Prof Scott says delirium after surgery takes 2 forms. Some patients become confused, agitated, distressed and even hallucinatory. Other cases are more difficult to detect because patients become quiet, passive and bed prone. Both forms are associated with increased hospital stay and slower recovery. Reproduced with kind permission from 6minutes.com.au. 6minutes delivers breaking news, up-to-the-minute developments in medicine, politics and clinical practice, as well as an insider's look at the profession.